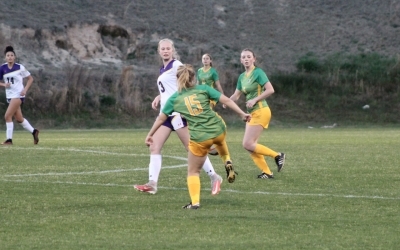 CAMERON, N.C. — The outcome of Wednesday’s Richmond Senior High School girls’ soccer game wasn’t what head coach Chris Larsen wanted, but he has a feeling it made his team better for the long term. 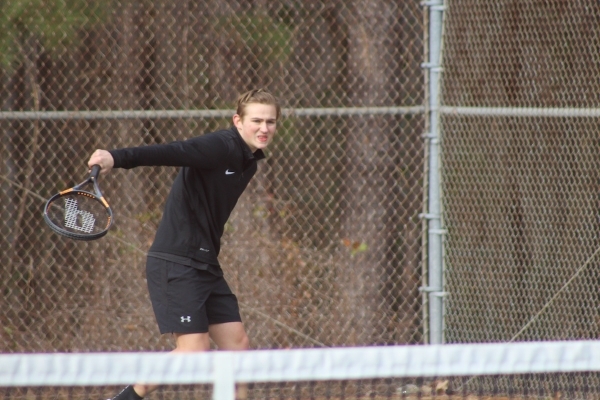 ROCKINGHAM — The Richmond Senior High School boys’ tennis team dropped its second-straight Sandhills Athletic Conference match Tuesday after winning its opener last week. 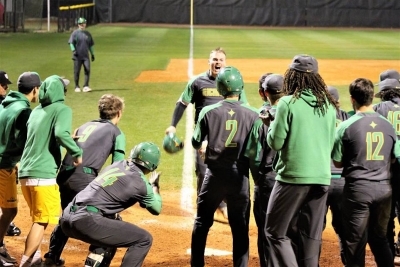 SOUTHERN PINES – On March 16, 2018, Jake Ransom stood with his Richmond Senior High School varsity baseball teammates at home plate waiting to welcome home Gordon Pihl who was circling the bases at John Williams Field at Pinecrest High School. ELLERBE — Over the past couple of seasons, the boys’ and girls’ soccer programs at Ellerbe Middle School have been the best athletic teams on campus. 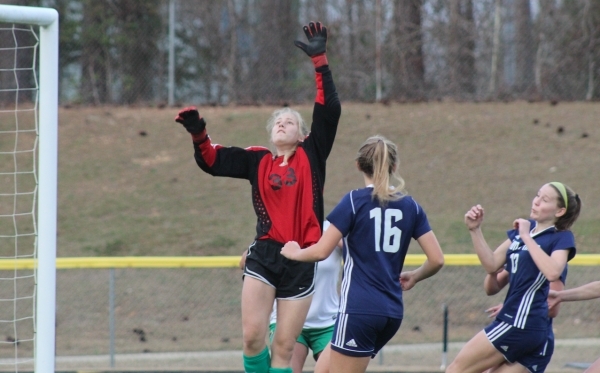 ROCKINGHAM — It may have taken a little longer than the 80 minutes of regulation, but the Lady Raider soccer team defeated Jack Britt High School 3-2 on penalty kicks. 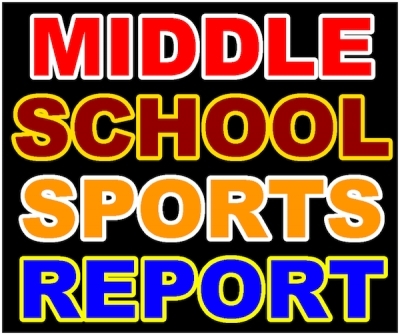 RICHMOND COUNTY — Monday marked the official start of the spring sports season for several Richmond County middle schools. 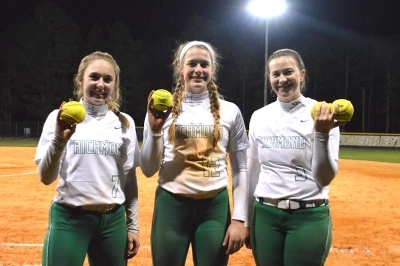 HAMLET – On Monday afternoon, the Hamlet Middle School softball team took an opportunity to tune up before Wednesday’s conference opener against a tough Anson squad when it hosted the Eagles from Uwharrie Charter School. ROCKINGHAM - Cameron Carraway, a senior on the Richmond Senior High School baseball team, has been named the Official Richmond County Male Athlete of the Week. 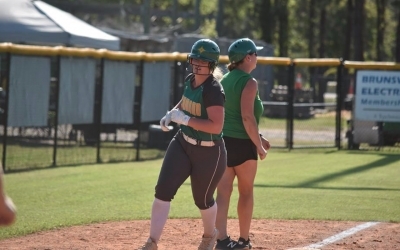 ROCKINGHAM - Taylor Parrish, a senior on the Richmond Senior High School softball team, has been named the Official Richmond County Female Athlete of the Week. FOXFIRE – Last season, Richmond’s boys’ golf team relied heavily on the strength of its ninth graders. Half of the team’s 10-member roster was made up of freshmen and four of the team’s five lowest scores each week came from that class. ROCKINGHAM — The Richmond Senior High School junior varsity baseball team kept its hot start to the season going last week, winning all of its three games to improve to 4-0. What is happening to the Los Angeles Lakers?